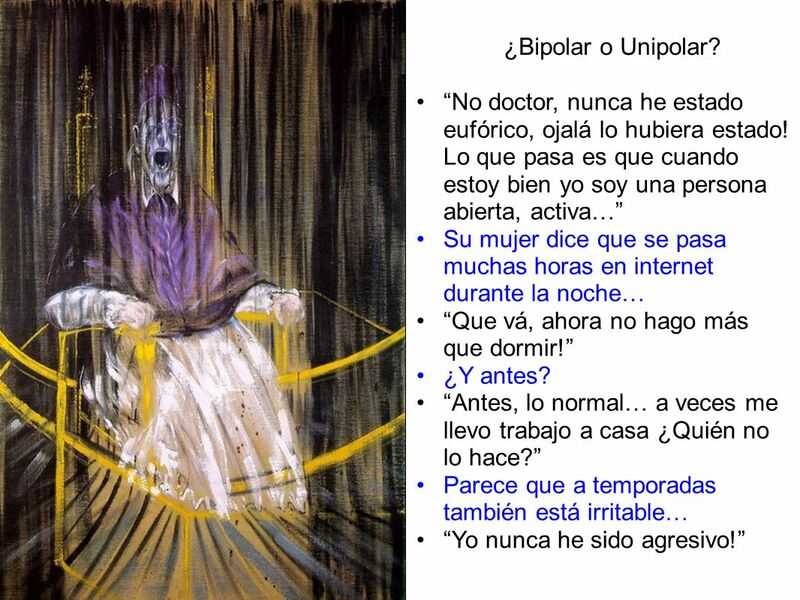 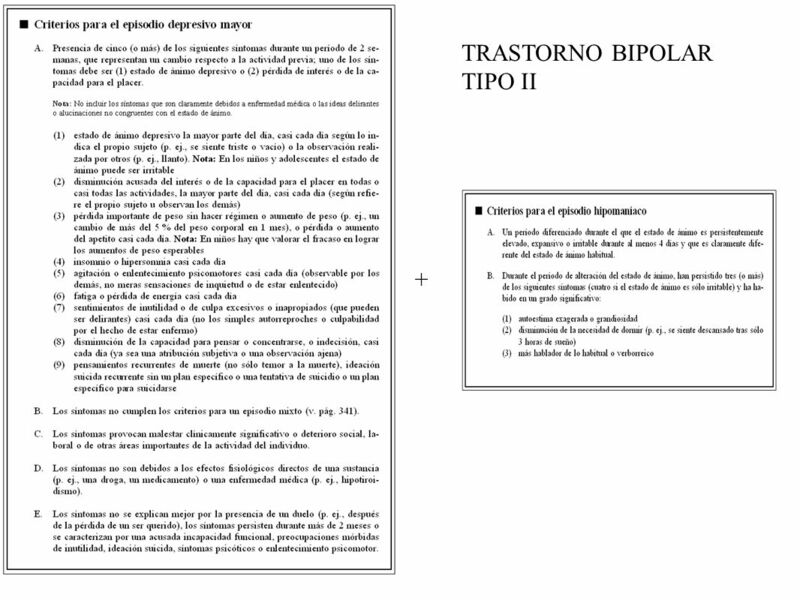 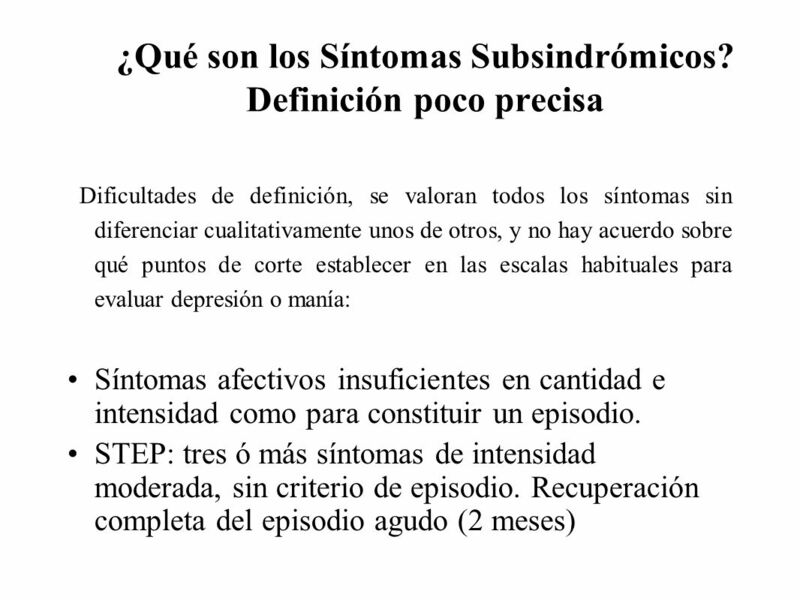 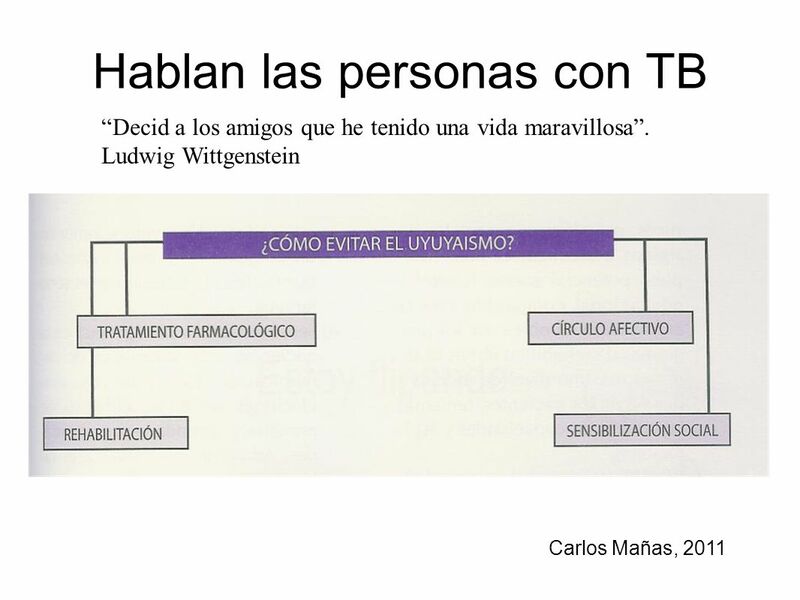 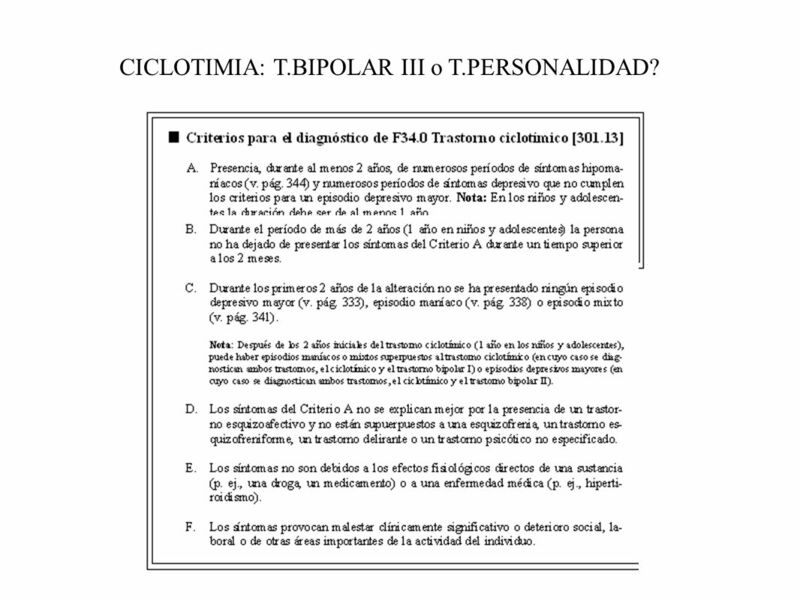 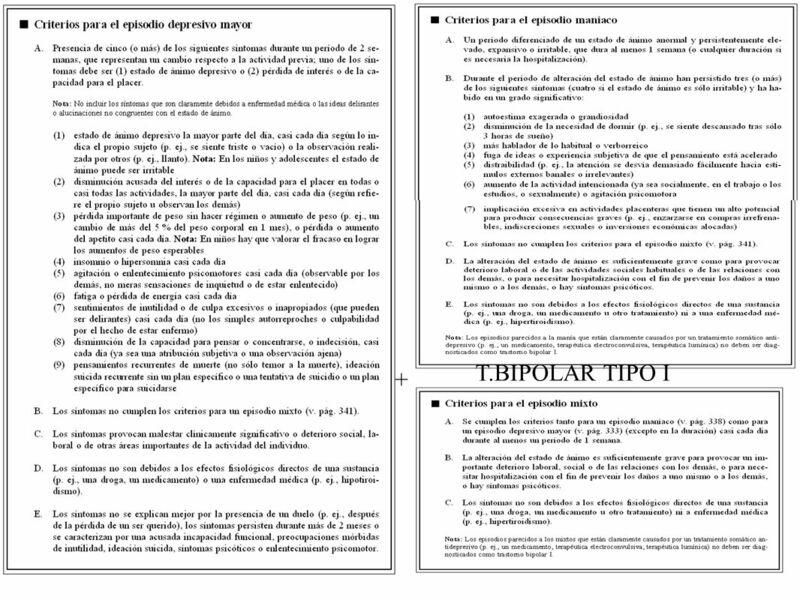 6 CICLOTIMIA: T.BIPOLAR III o T.PERSONALIDAD? 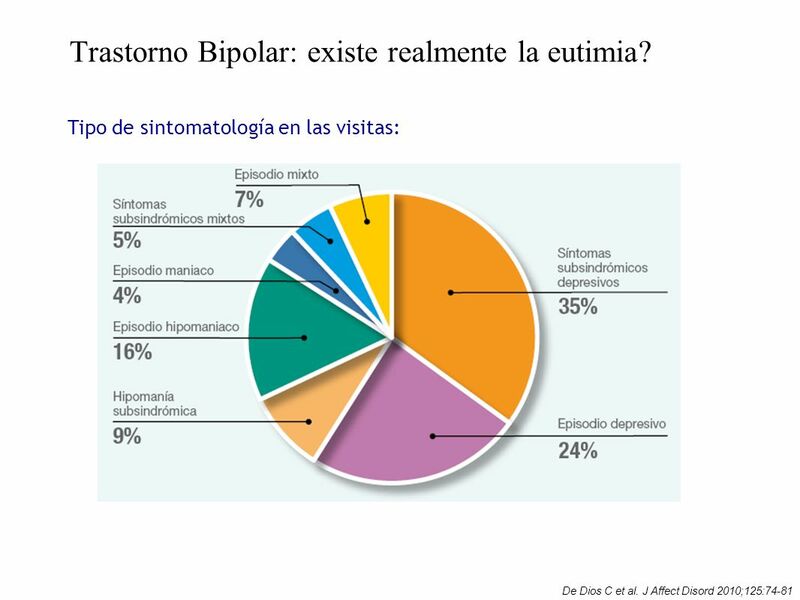 11 Trastorno Bipolar: existe realmente la eutimia? 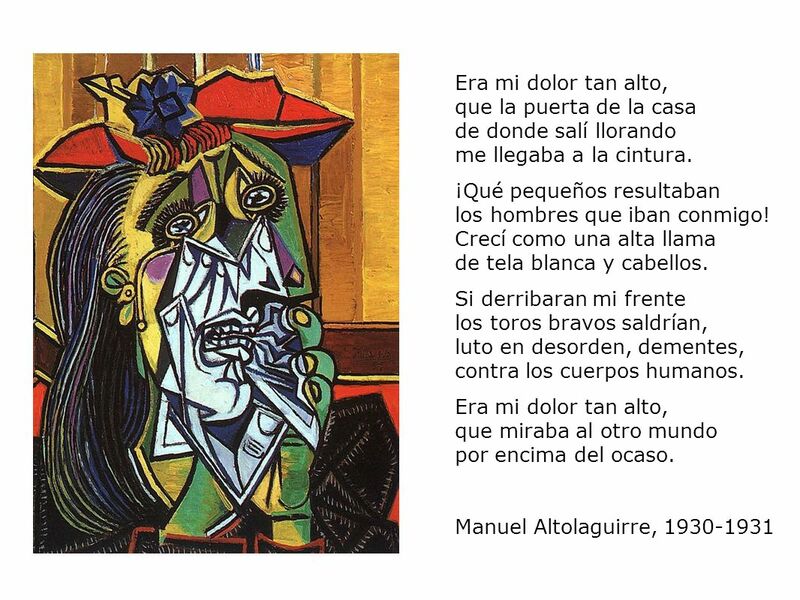 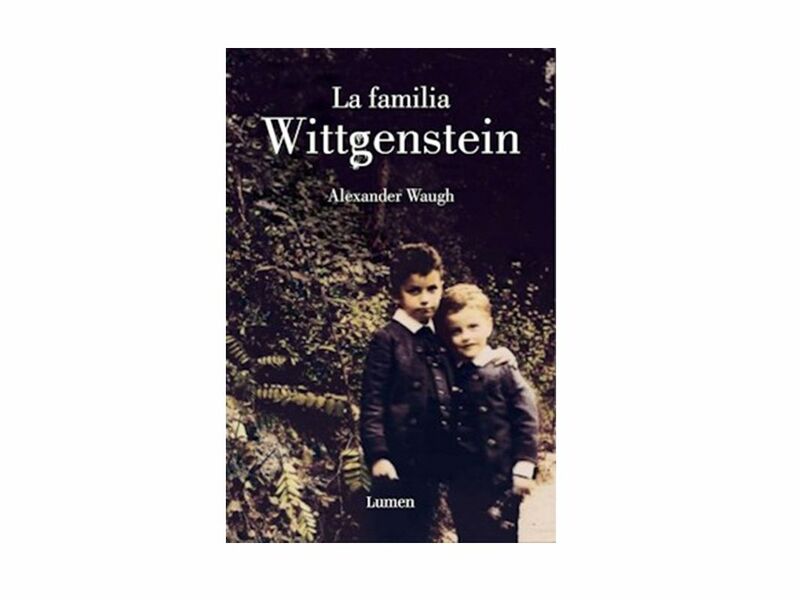 26 Era mi dolor tan alto, que la puerta de la casa de donde salí llorando me llegaba a la cintura. 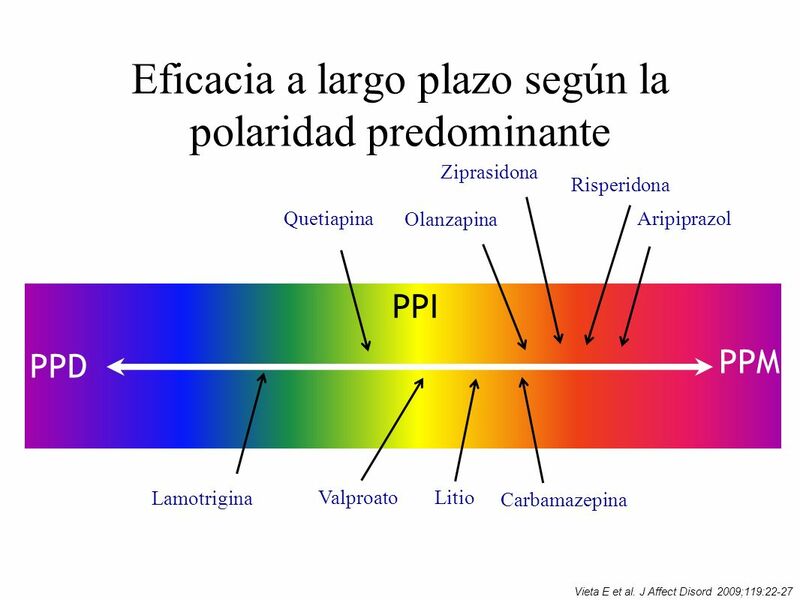 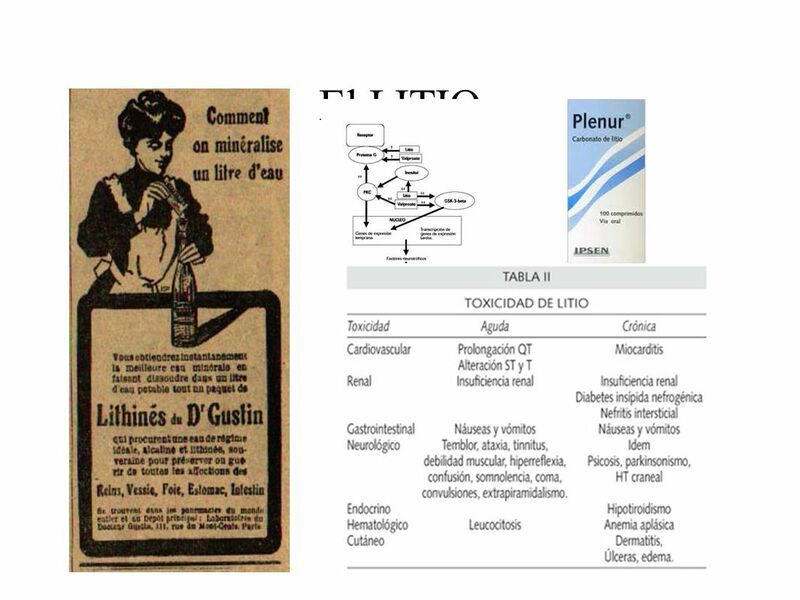 Quetiapina ++ Olanzapina + Litio + Valproato + Lamotrigina + Pramipexol + Fluoxetina + Modafinilo + Ketamina + Psicoterapia + TEC + Risperidona - Ziprasidona - Aripiprazol - Levetiracetam - Clozapina ? 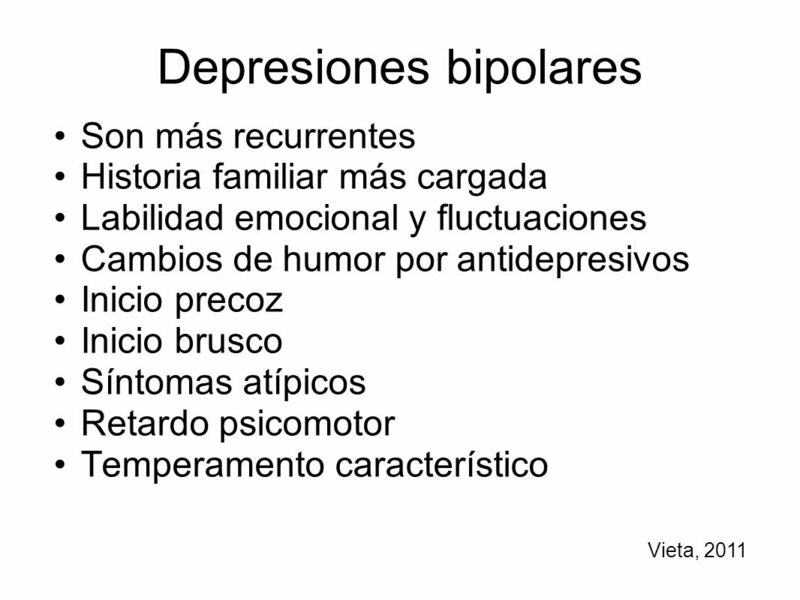 Paliperidona ? 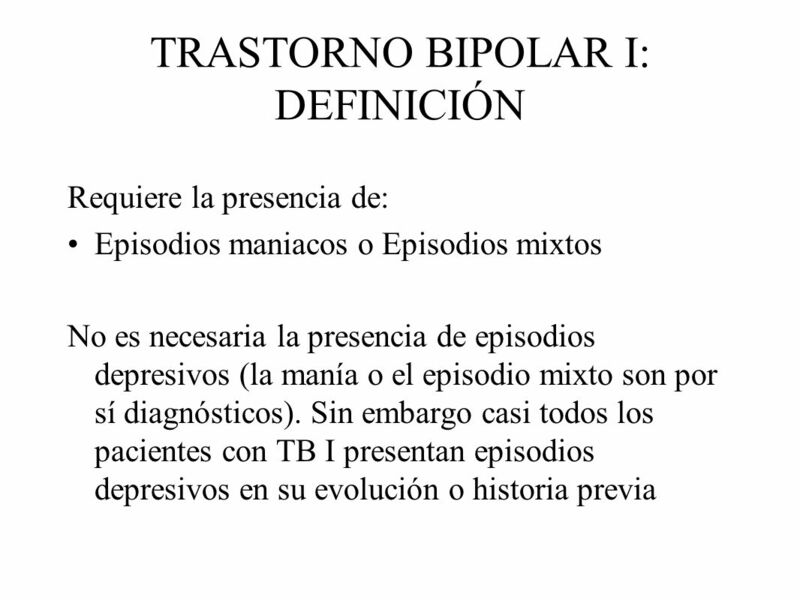 Amisulpride ? 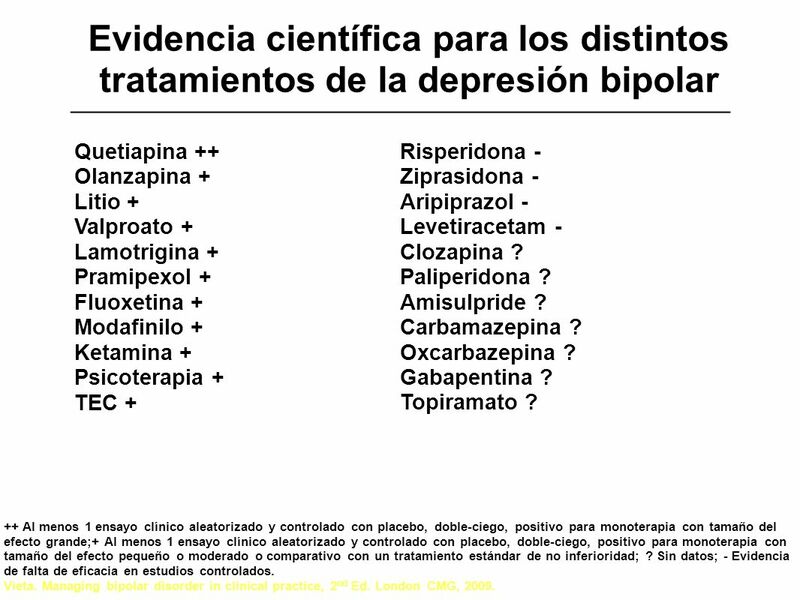 Carbamazepina ? 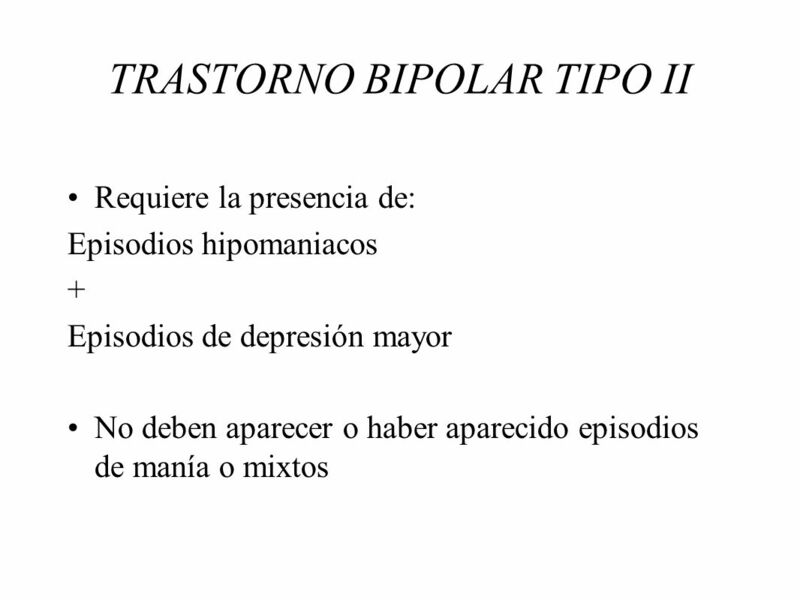 Oxcarbazepina ? 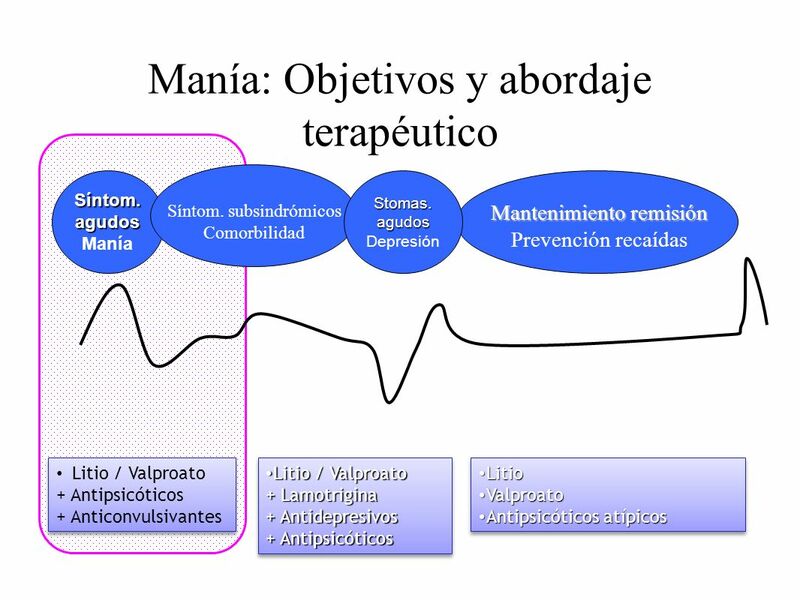 Gabapentina ? 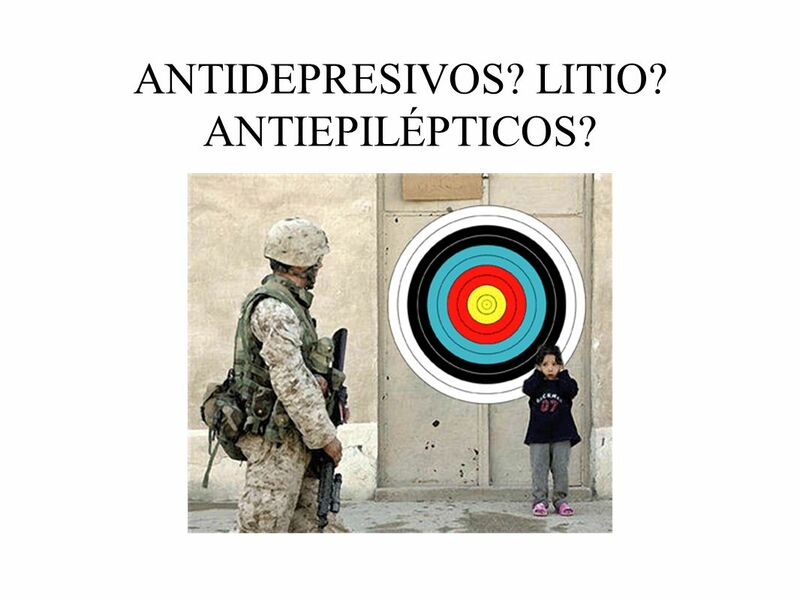 Topiramato ? 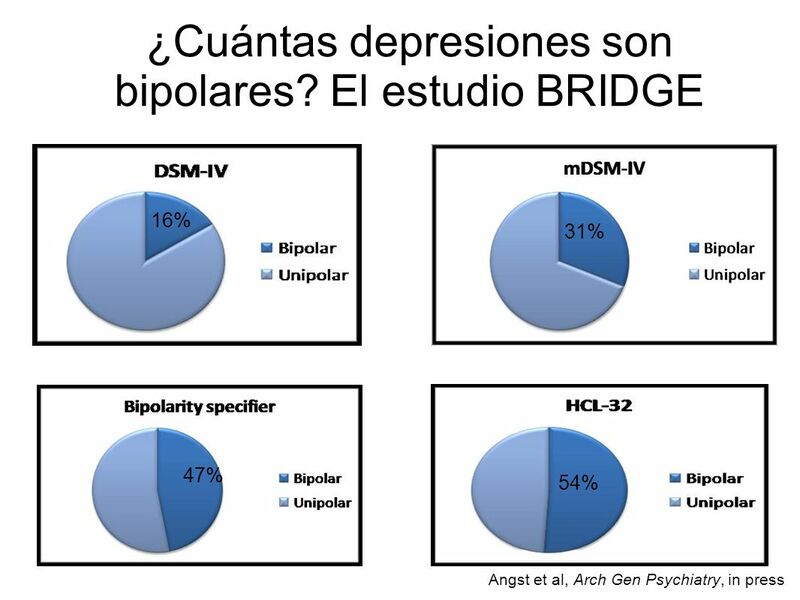 NOREPINEPHRINE-MEDIATED MECHANISMS Studies in patients with unipolar depression strongly implicate central noradrenergic dysfunction in the neurobiology of depression. 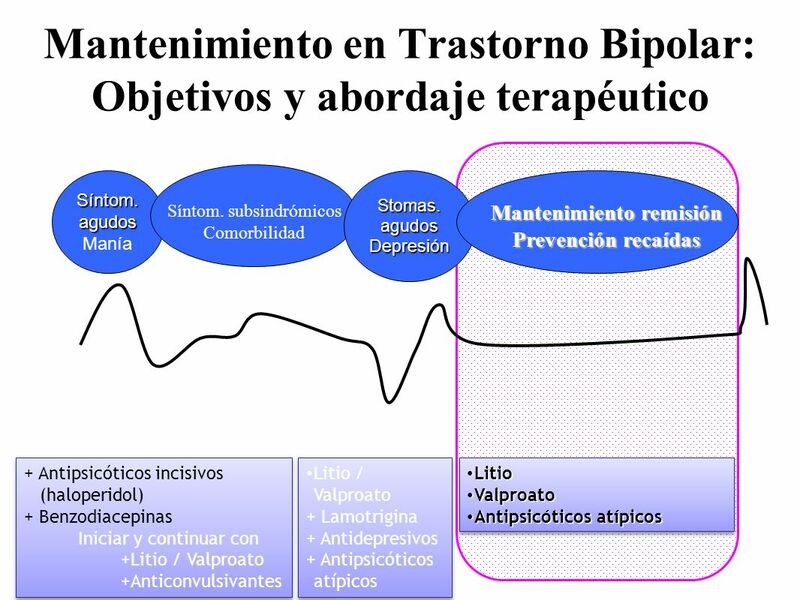 Strategies that enhance noradrenergic transmission should therefore be effective in relieving depressive symptoms. 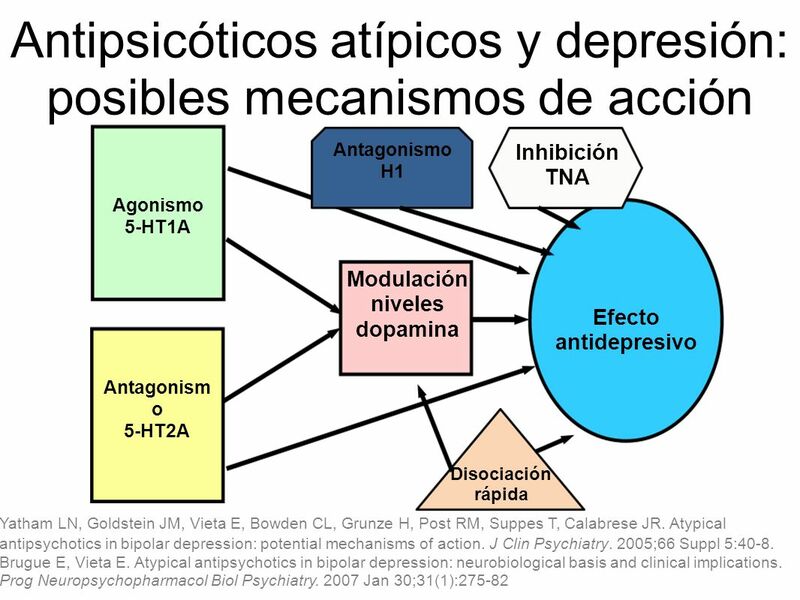 Unimodal antidepressants eg, imipramine, desipramine, target norepinephrine at several levels to exert their therapeutic effects, in particular through reuptake inhibition by blocking the norepinephrine transporter (NET) and blockade of alpha2-adrenergic receptors, which would lead to increased noradrenergic transmission NET Norquetiapine has high affinity and is a potent inhibitor of the NET. 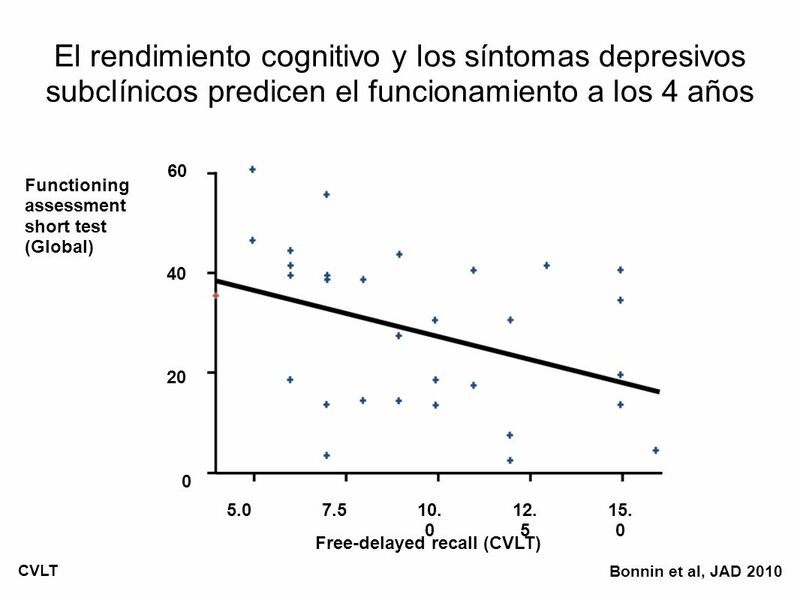 Inhibition of NET is a property that Seroquel shares with a number of antidepressants and differentiates Seroquel from other atypical antipsychotics. 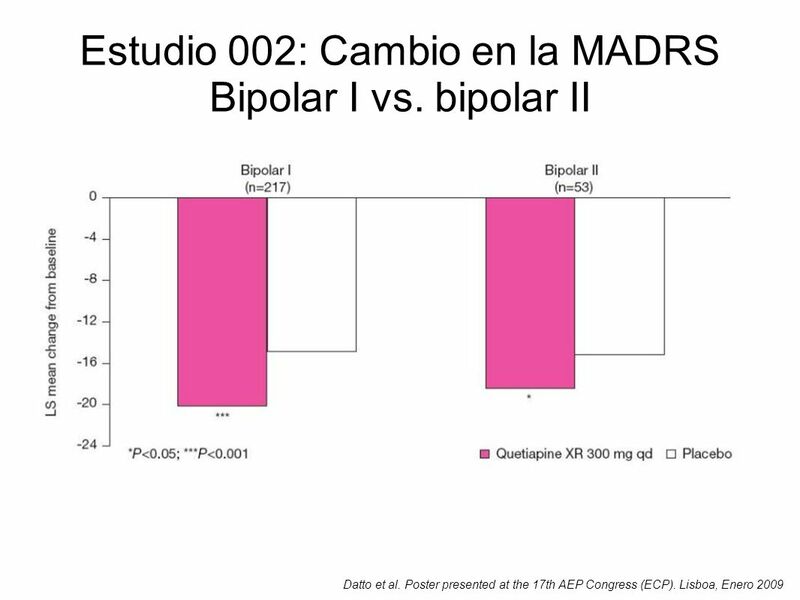 * The major findings are the striking differences in the affinities of quetiapine and norquetiapine for the NET binding site (Kis=34.8 and >10000 nM, respectively). 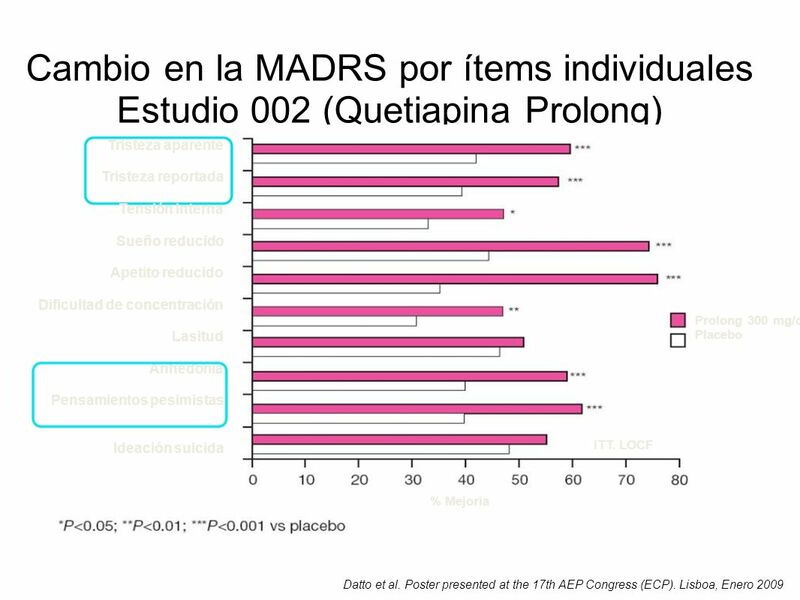 This finding prompted evaluation of the ability of norquetiapine to enhance or suppress the function of this transporter. 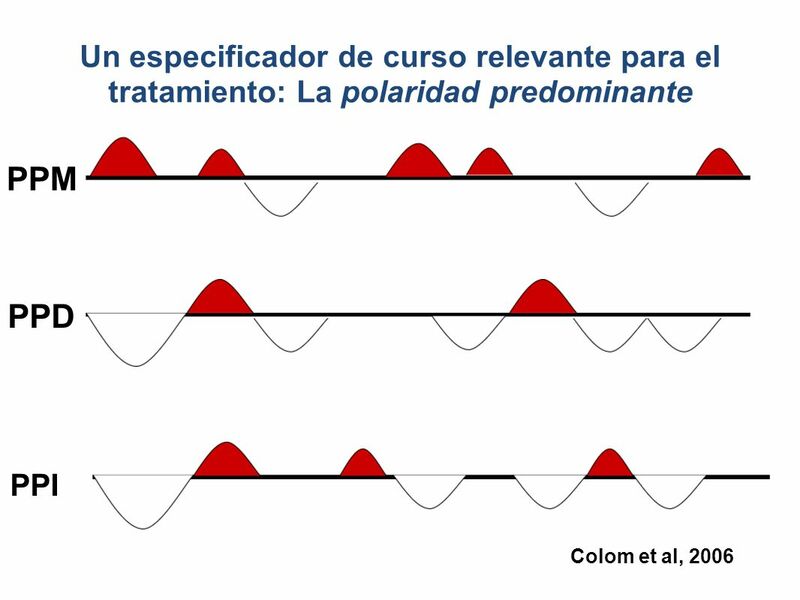 In a cell based assay system (canine MDCK cells expressing the human norepinephrine transporter), norquetiapine inhibited norepinephrine reuptake with an IC50 of 13 nM. 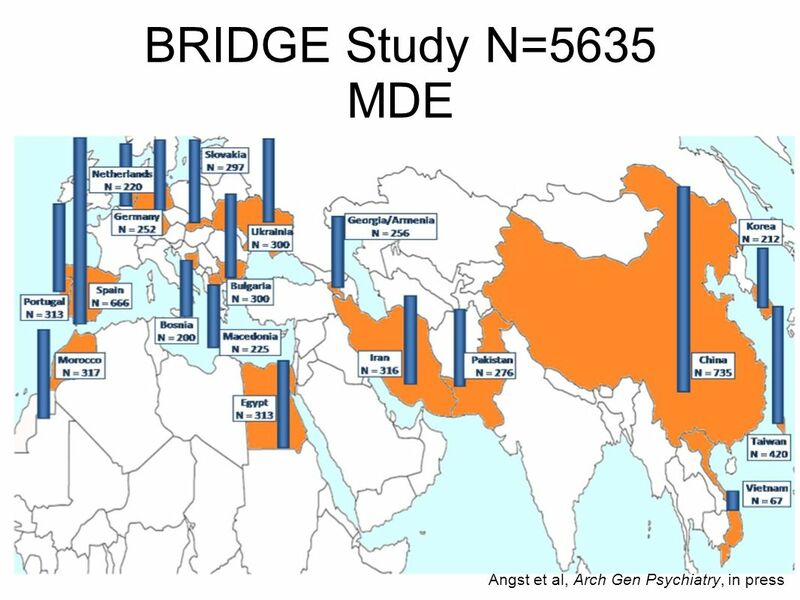 For comparison, desipramine displaces a NET binding ligand with a Ki of 0.55 , and inhibits norepinephrine reuptake with an IC50 of nM. 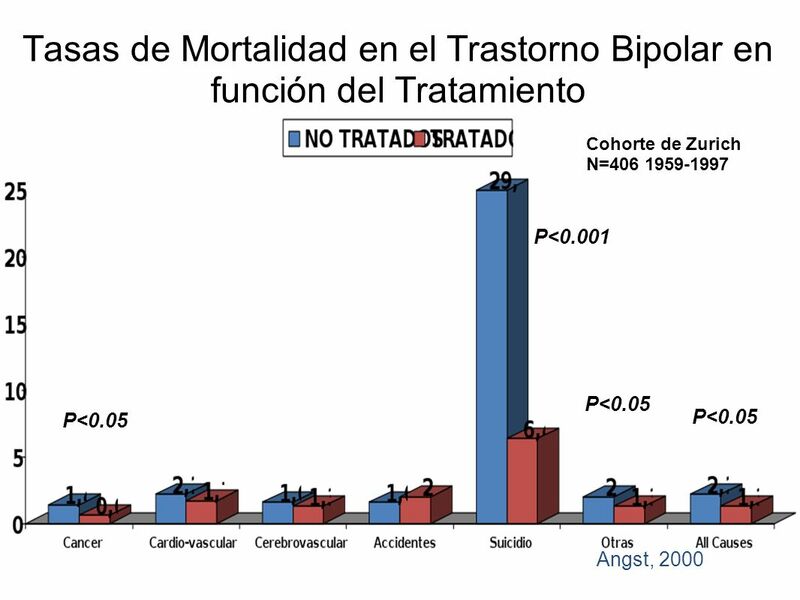 Although ziprasidone has high affinity for NET, it has not been shown to be associated with functional inhibition of NET at clinically relevant doses. 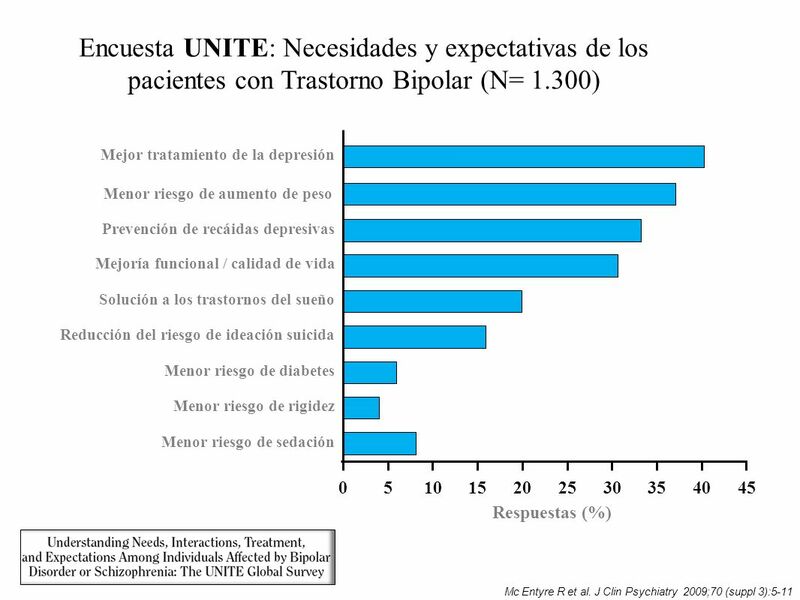 The high in vitro affinity exhibited by norquetiapine for the NET is a property it shares with a number of tricyclic antidepressant drugs, but which differentiates it from most of the atypical antipsychotics. 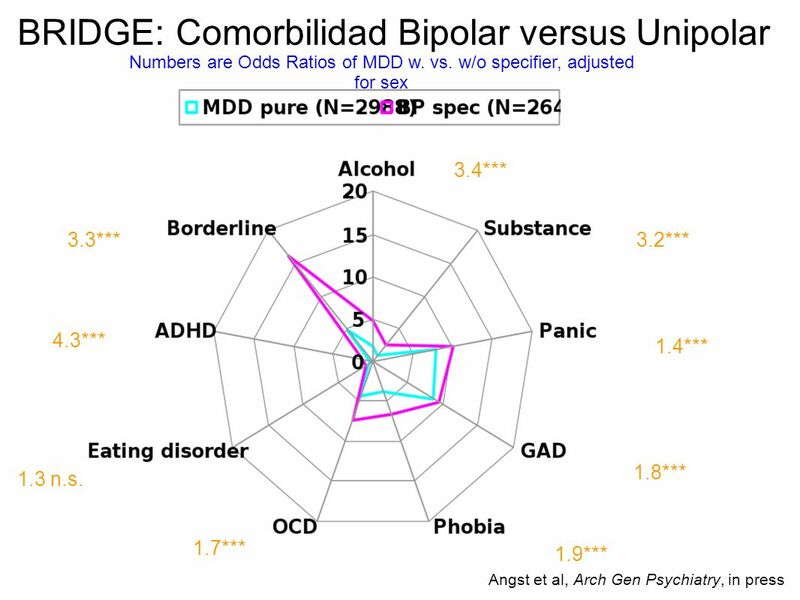 The one exception appears to be ziprasidone which also exhibits high affinity for the NET (Ki=44 nM). 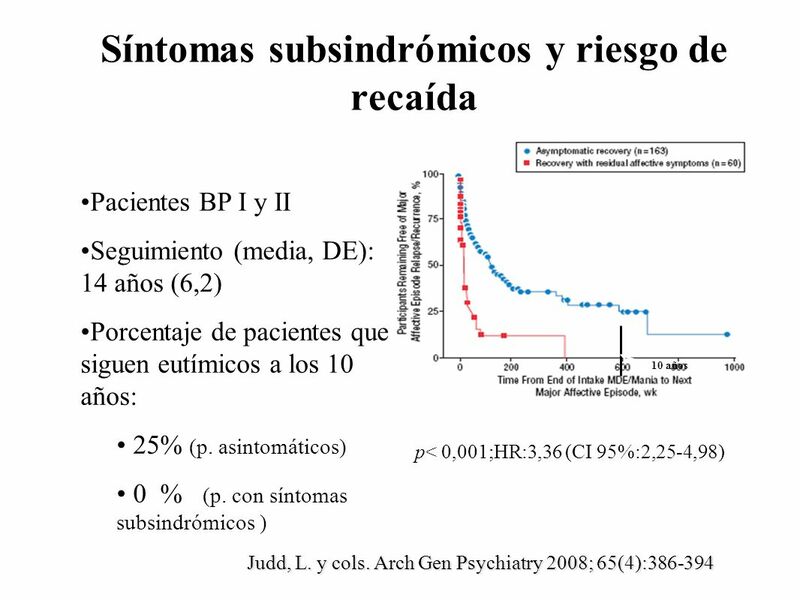 However, using ex vivo methodology (Gilmor et al 2002; McConathy et al 2007) there was no inhibition of norepinephrine reuptake with ziprasidone at serum concentrations typically observed during treatment (Owens and Nemeroff, personal communication and Goldstein et al 2007). 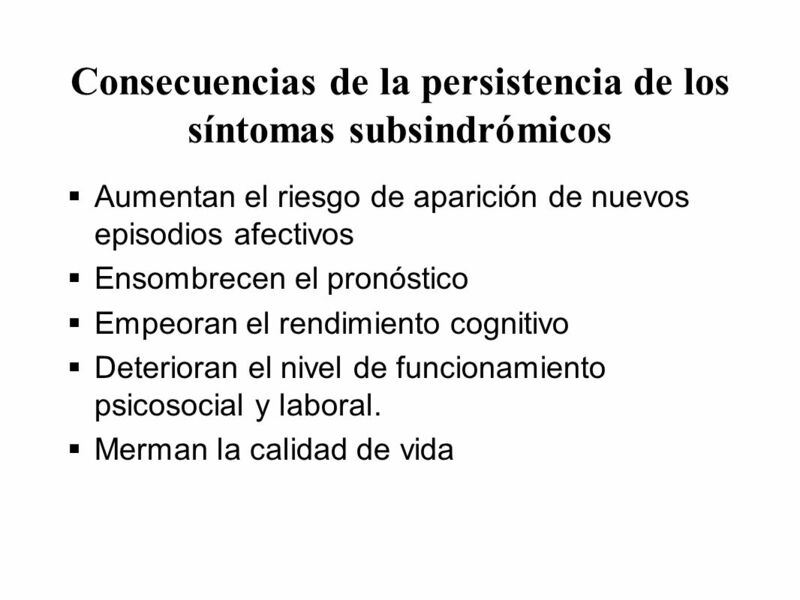 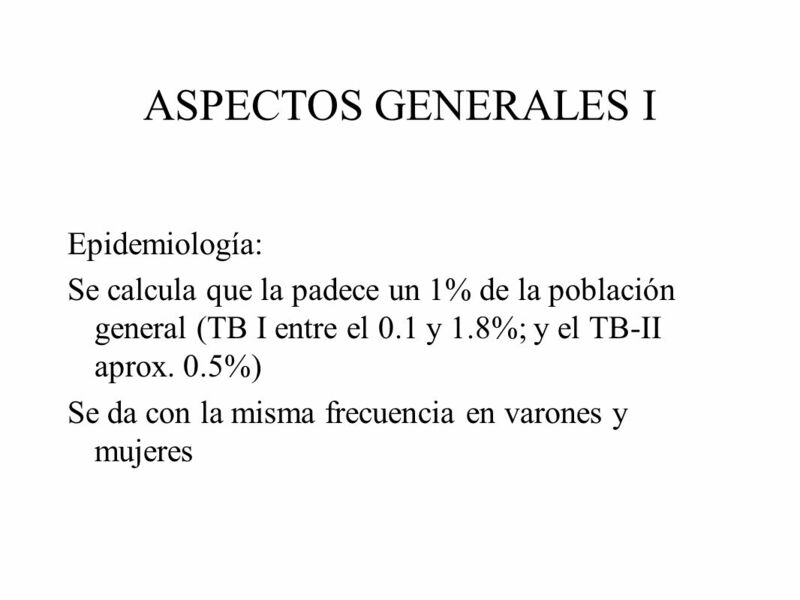 References: Gilmor ML et al. 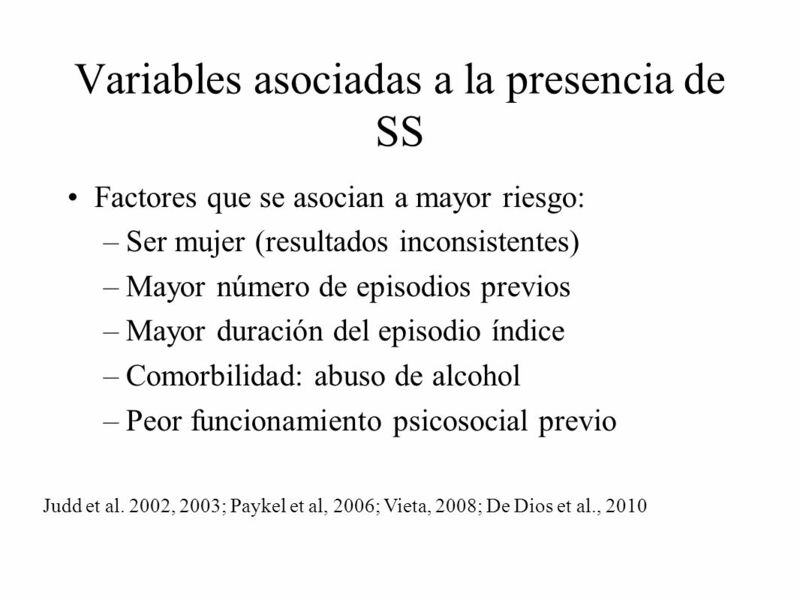 Am J Psychiatry 2002;159:1702–1710 McConathy et al. 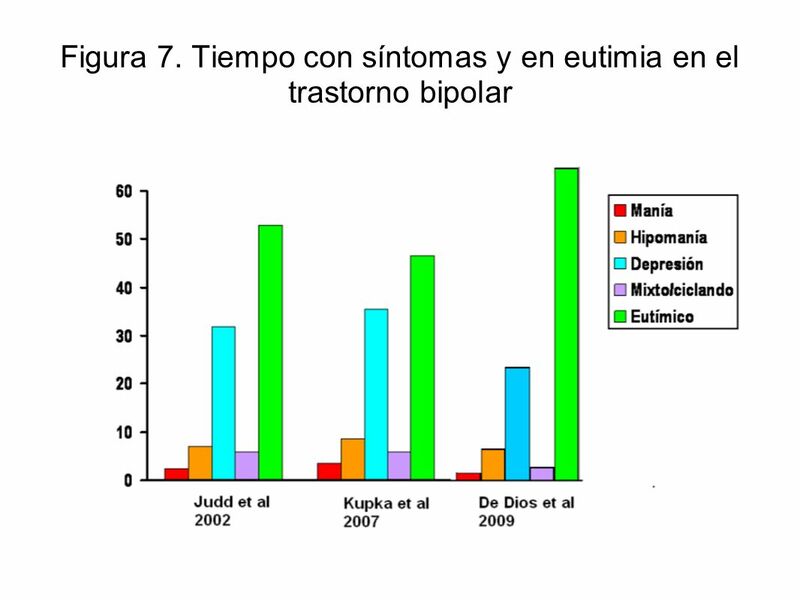 Int J Neuropsychopharmacol 2007; Jan 4; 1-5 [Epub ahead of print]. 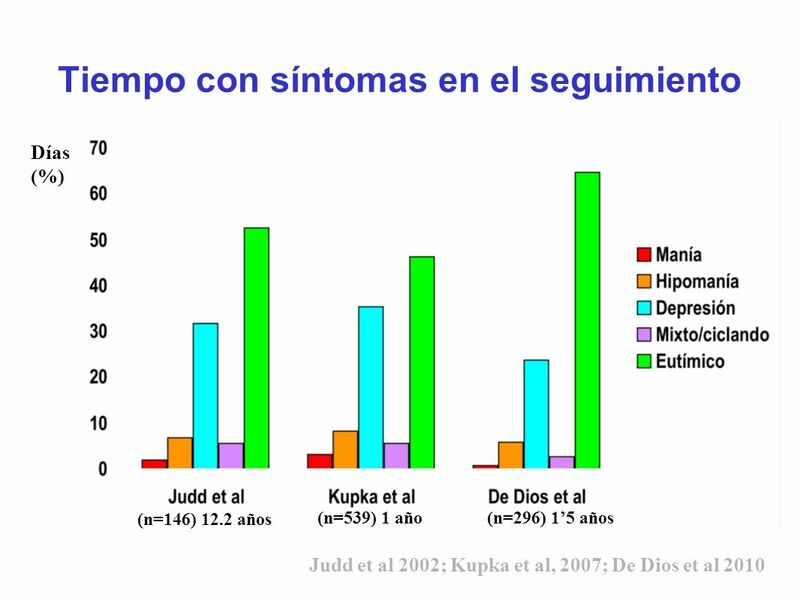 Goldstein JM et al. 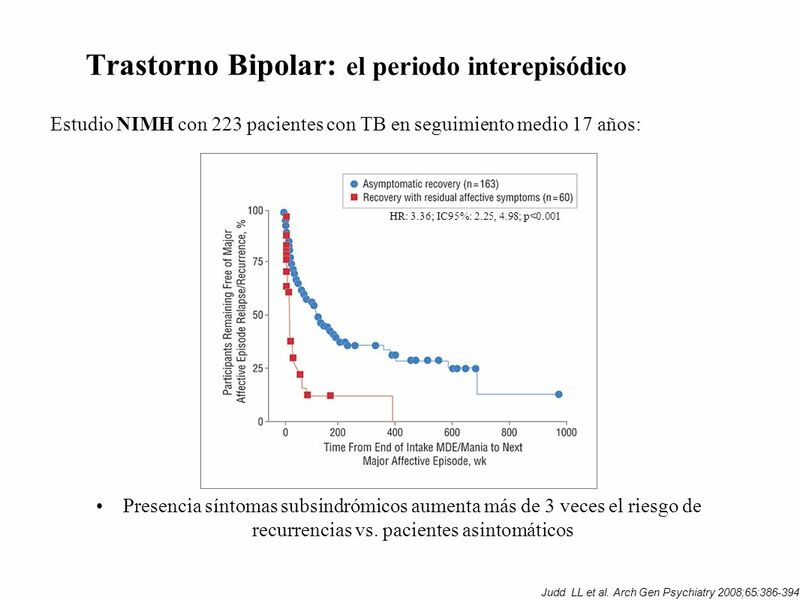 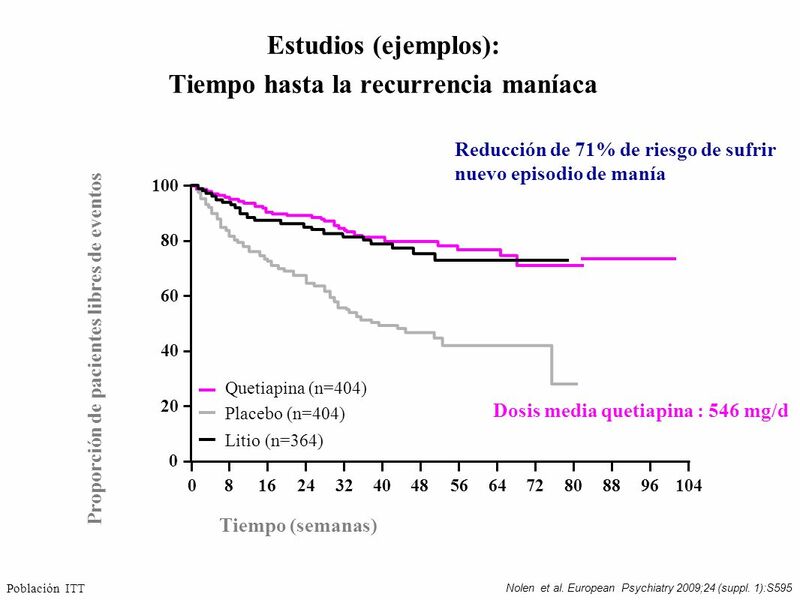 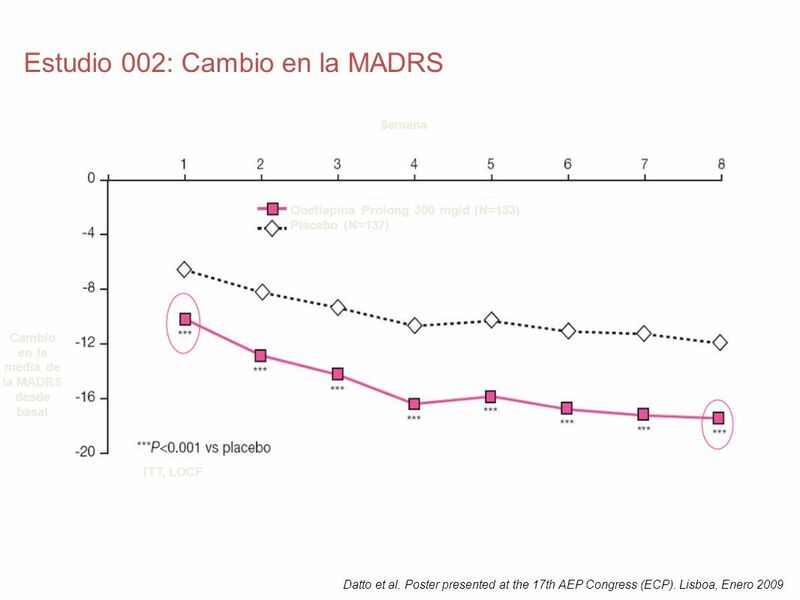 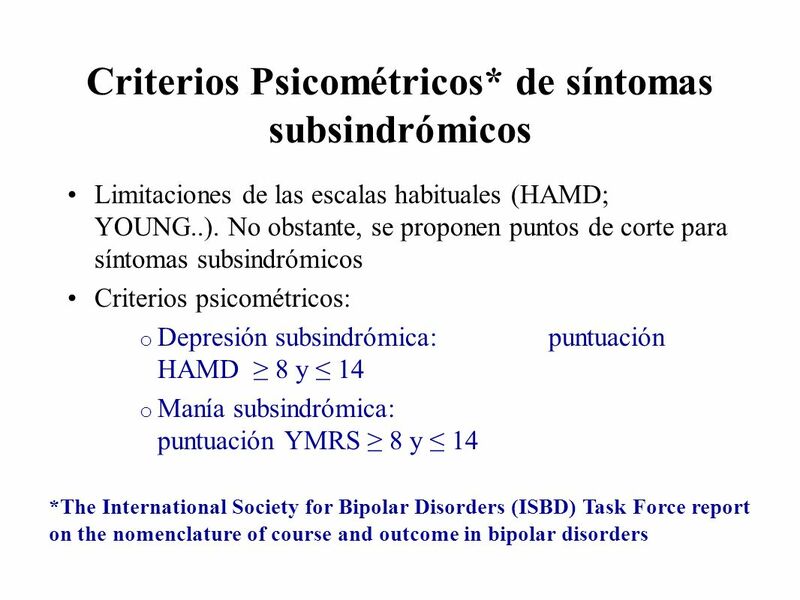 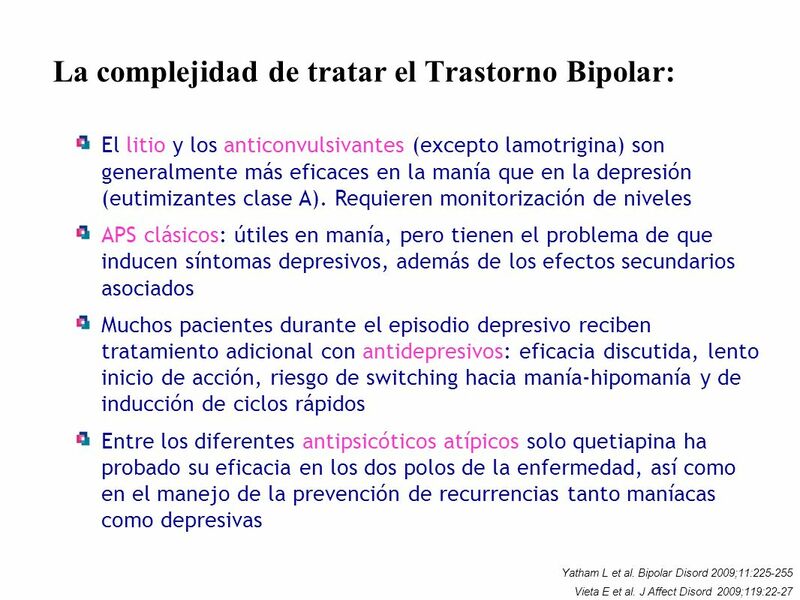 Biol Psychiatry (8 Suppl 1):S124-S125 ++ Al menos 1 ensayo clínico aleatorizado y controlado con placebo, doble-ciego, positivo para monoterapia con tamaño del efecto grande;+ Al menos 1 ensayo clínico aleatorizado y controlado con placebo, doble-ciego, positivo para monoterapia con tamaño del efecto pequeño o moderado o comparativo con un tratamiento estándar de no inferioridad; ? 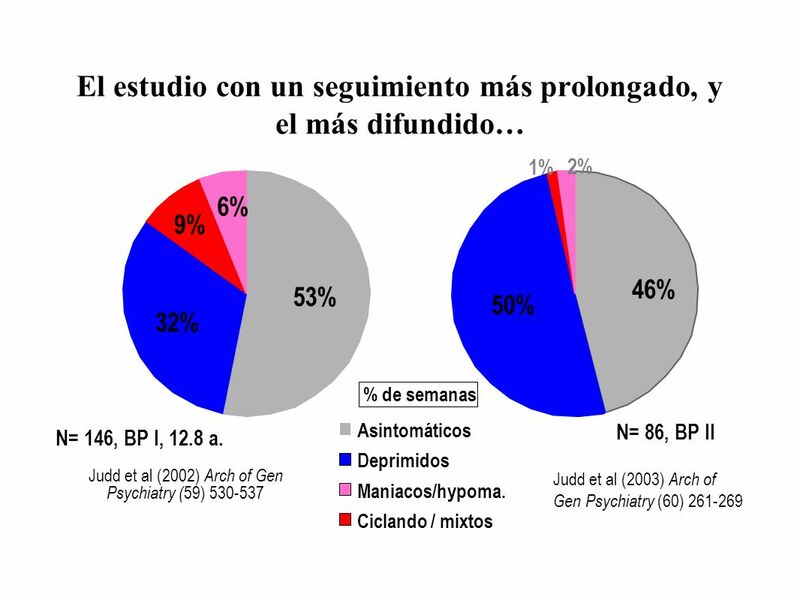 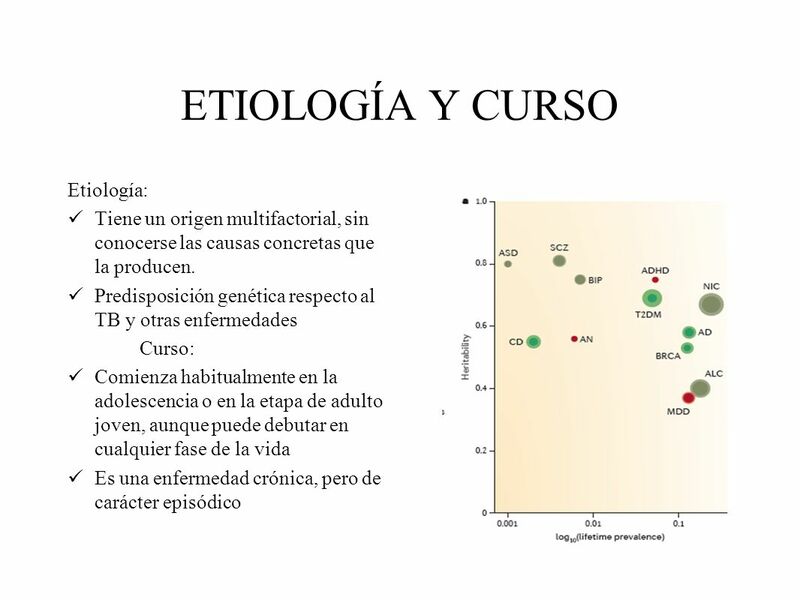 Sin datos; - Evidencia de falta de eficacia en estudios controlados. 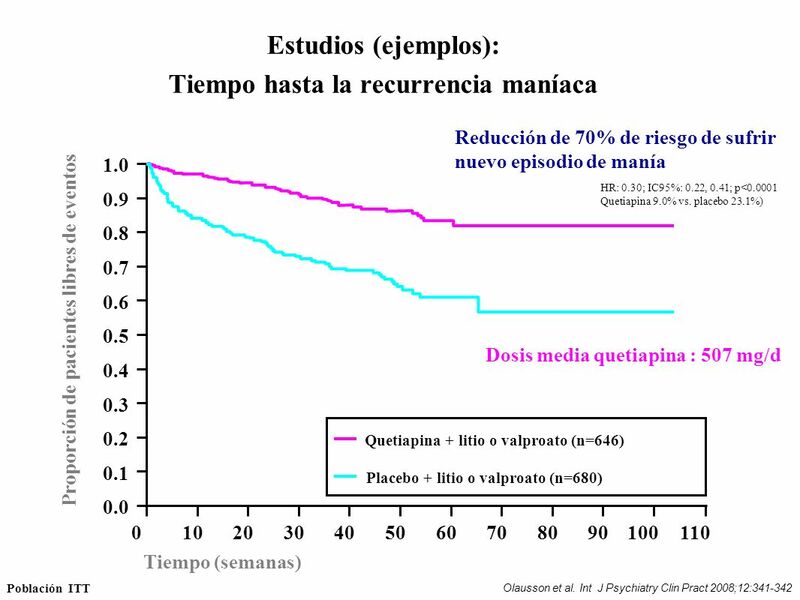 Vieta. 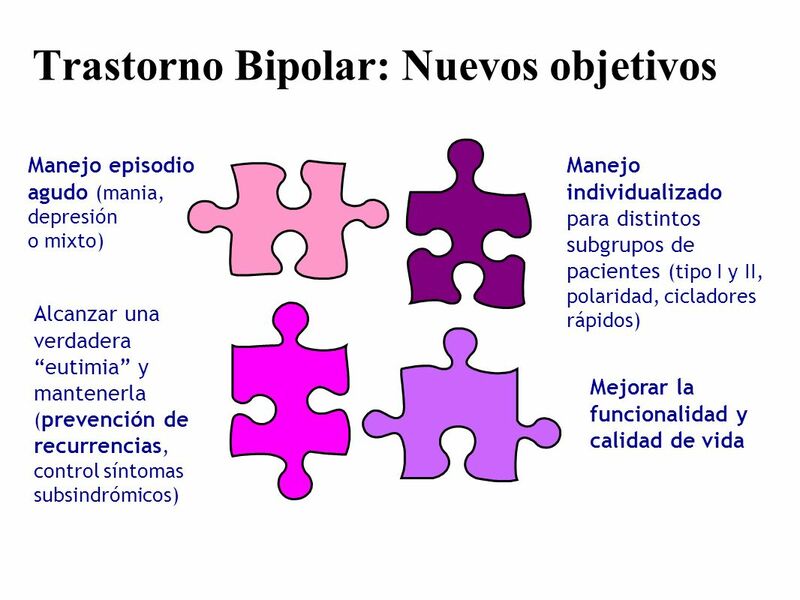 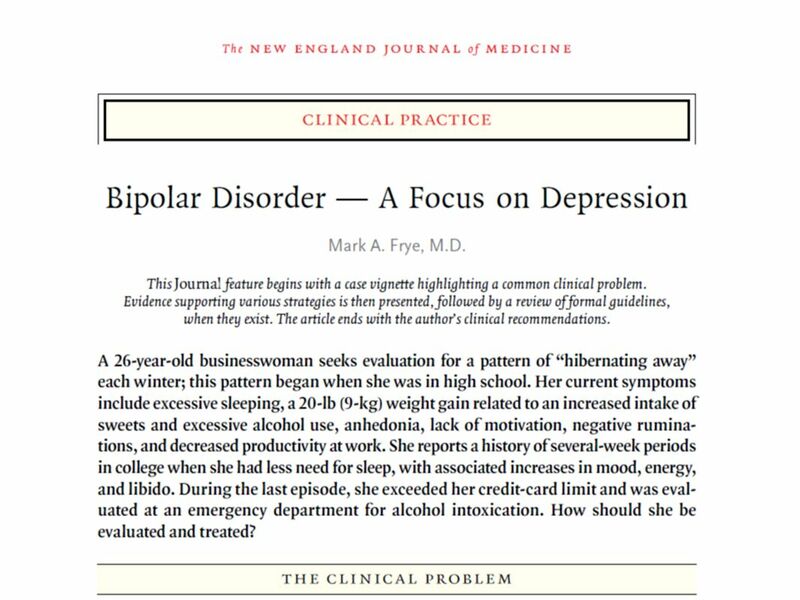 Managing bipolar disorder in clinical practice, 2nd Ed. 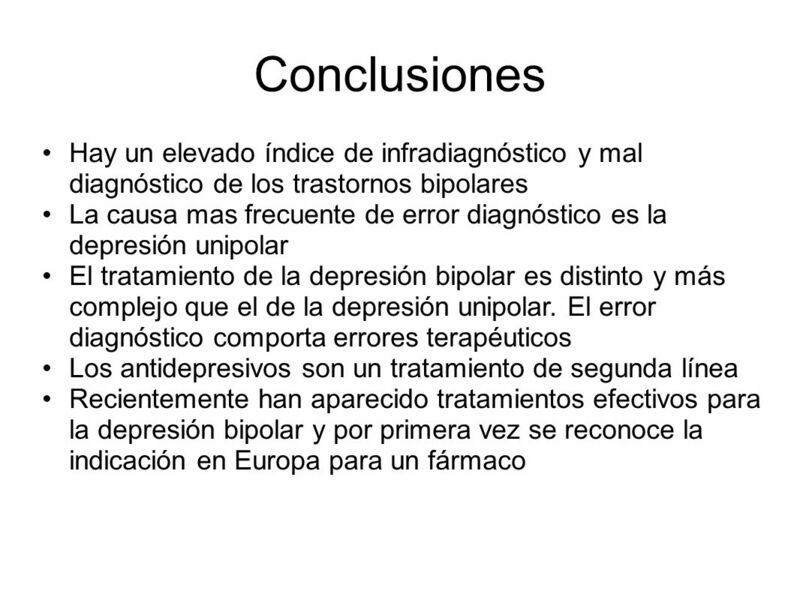 London CMG, 2009. 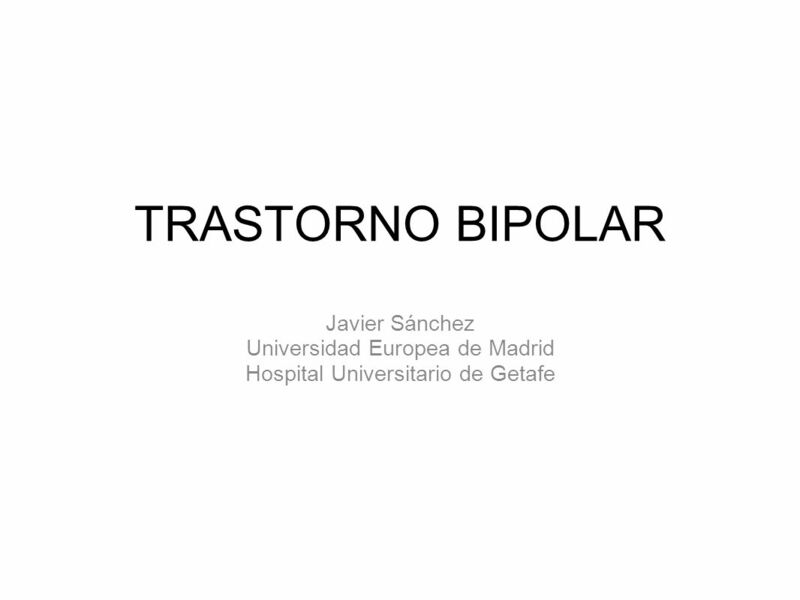 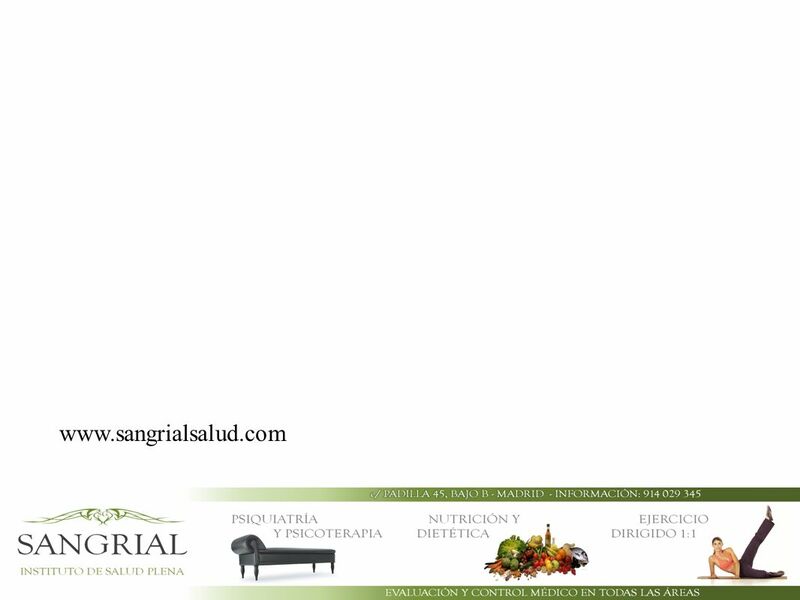 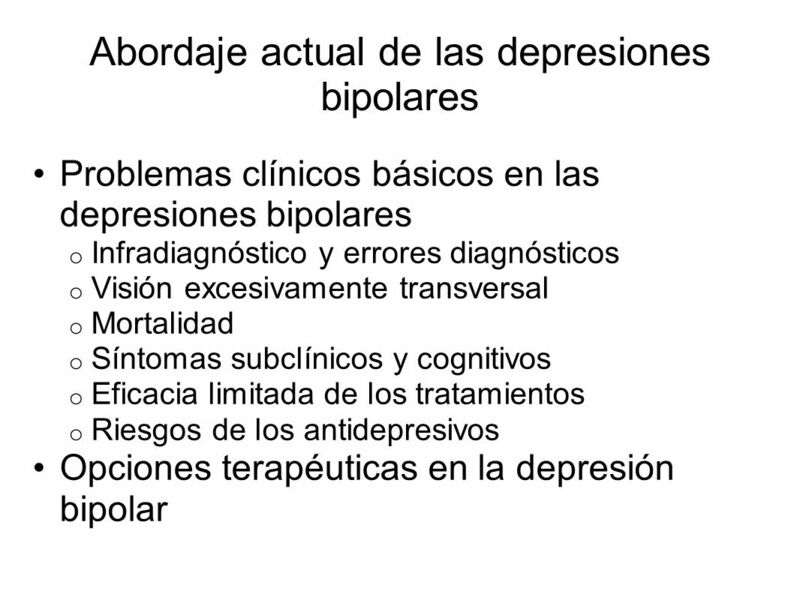 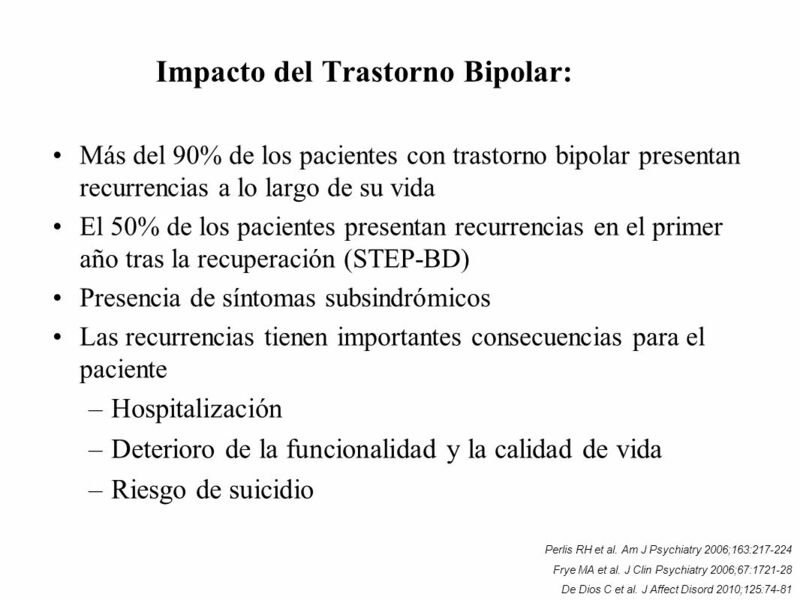 Descargar ppt "TRASTORNO BIPOLAR Javier Sánchez Universidad Europea de Madrid"